A big thank you to Nineteen Ten who have sponsored our spot in front of their shop. If you haven’t visited their store yet, this is the perfect opportunity. Not only will you find tons of uber-cool stuff inside, we will be right outside. 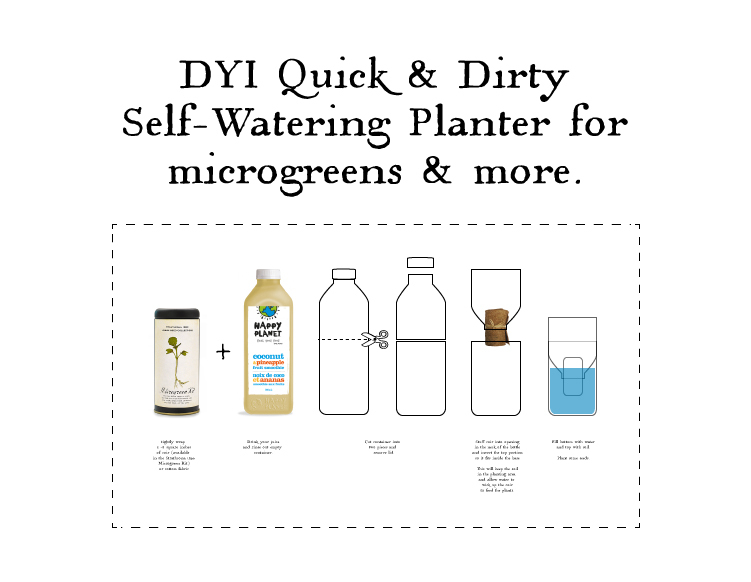 This year the Truck Farm has also teamed up with Happy Planet to offer free workshops on how to make a Quick & Dirty Self-Watering planter that you get to take home. As well we will be giving away coupons to everyone who participates. For those of you who can’t make it because of a wedding, 90th birthday or other life-altering event below is a step by step diagram for you to use at home.